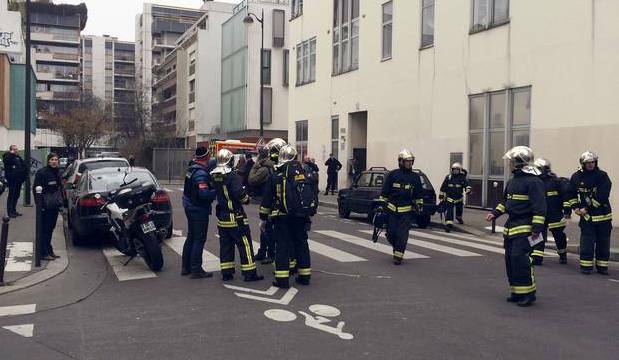 Two Heavily armed gunmen opened fire at Charlie Hebdo, a French satirical magazine in Paris killing 12 people and many injured. The magazine was targeted publishing a series of controversial cartoons portraying Prophet Mohammed in 2012. Sources say, there were three suspects Cherif Kouachi, and Said Kouachi, both brothers in their early thirties and Hamyd Mourad 18 years old. Hamyd Mourad, 18 years old has turned himself to the police on Wednesday night and other two are still at large. A huge manhunt is on to bring the other suspect to justice. Police officials have warned public the suspects can be armed and dangerous. Photos have been released of the suspects by police officials and deployed a tactical unit for manhunt. The details of the operation has not revealed but speculations the investigators are on the case. Previous: Awesome “Log Kya Kahenge” Rap dedicated to all youngsters who didn’t want to be engineers or doctors.